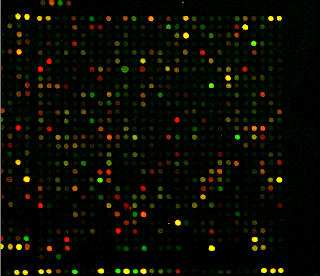 At this point, I believe we have a consensus: Quantification data from microarrays doesn't replicate very well at the protein level. The problem is that we don't seem to have an idea how bad the discrepancy is or why this occurs. Years ago, Dr. Rich Helm, who runs the Mass Spectrometry Consortium at Virginia Tech said that in bacteria, the correlation is less than 0.20. So, 1 in 5 observations match between the two in an organism that has 1 chromosome and very limited post-translational modifications? I throw this out there because I recently participated in a study where we did quantitative proteomics and microarrays on two cell lines from mice. Our correlation? 0.01. One in one hundred observations matched between the two. The ridiculous part? That the two techniques gave us extremely complementary data. 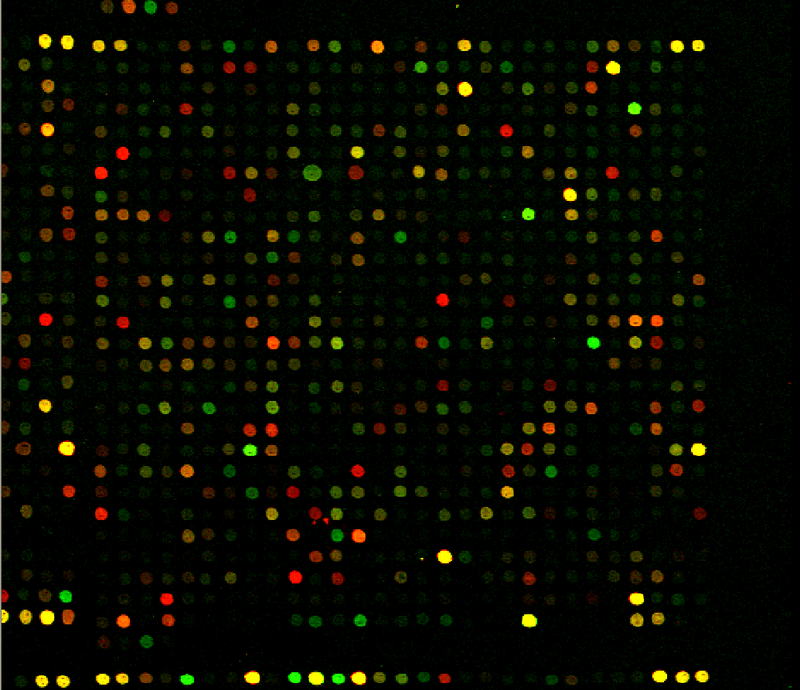 They pointed at exactly the same pathway, with almost no overlap in proteins. As we construct this paper, I'm sure that I'll continue to search the literature. Maybe someone has a good explanation, but I've been doing some reading and I sure haven't come upon one yet. A good friend forwarded me a great paper that I somehow missed from last summer. "Deep and Highly Sensitive Proteome Coverage by LC-MS/MS without Prefractionation." This paper is out of Matthias Mann's lab at Max Planck and Suman Thakur is the lead author. In a nutshell, the paper describes their attempts at using long (up to 2 meter!!!!!) columns to separate and identify complex peptide samples. If you are thinking 1 million PSI backpressure, you aren't alone. They build a custom column heater to keep the backpressure down. And it works. Holy cow. In a 480 minute run they cover 68% of the proteins that they found in the multistage fractionation of yeast extract that they did a few years ago. 68% in 480 minutes. The kicker here? Call up your nanospray column manufacturer and ask for a quote on a column even 40cm long! Lets see if you get as discouraged as I did. If you know of a company that makes custom columns of this length for less than the price of a Porsche 951, definitely let me know!